Pundit Parashar is one of the member of our elite astrologer's panel. He writes weekly horoscope columns in various newspapers across the world and in many leading online websites including this one. He can be reached at 510-886-4370. Jupiter will transit first house till May 18th and second for remainder of 2012. Saturn will stay in seventh throughout 2012. Ketu will transit second and Rahu will stay in eighth. This year will bring prosperity in your life. Planets will cause expansion in career as well as the size of family. A new member will be added in the family this year. As Mars will stay very strong in first half, you will be more confidant and take few courageous initiatives. Results will be positive and almost instant. You will have complete satisfaction on children side also. Spouse will also do better as planet Saturn will bring some very positive changes in career. If in business there is a strong chance that you may open another location or buy another one this year. You will reap rich rewards for your efforts when Jupiter moves into second house after May 18th. Be careful in between June 22nd and Aug 16th when Mars transit sixth house. You may have to face some challenging situation during this period. You will also make some long term investment or put some money away in savings this year. In second half of 2012 you will be spending lots of money on a family member and for good reason only. You will become very health conscious this year and achieve your goals. Time is very good for all financial matters right after March 29th. You will definitely lay your hands on some real easy money in 2012. All your plans will go through with the help of Jupiter in first and you will also find easy solutions for all obstacles. Exalted Saturn will transit sixth house this whole year. Ketu will stay in first and Rahu in seventh. Jupiter will transit twelfth house till may 18th and first house there after. Strong Saturn in sixth will bring major changes in career this year. Once again you will start to feel lucky as most of your major plans will go through without any difficulty. You will overcome all earlier difficulties and have the edge over your opponents and competition. Product will be better than earlier expected. People who are self employed will see few of their major competition quitting making room for more progress in life. When Jupiter transit first house after may 18th, You may have to deal with some health issues also this year but you will be cured completely. Bachelors may have some difficult time this year as rahu's presence in seventh can cause frustration in area of relationships. Saturn's transit in sixth will involve you in legal battle in some way and the good thing is that decision will be in your favor only. June 5th to June 22nd and Sept 14th to Oct 22nd are very favorable for money matters. You could hit some kind of financial jackpot during these times. Presence of Mars in fourth till June 22nd is slightly disturbing as far as partnerships are concerned whether its domestic or business. You will need lots of patience and self control. You will be taking few important trips to distant places in 2012. Any venture started this year will be long lasting and beneficial. Saturn will stay strong in fifth house. Jupiter will transit eleventh house till may 18th and twelfth there after. Ketu will stay in twelfth and Rahu will be in sixth this year. It will be a better year by all means. Expect some major changes in career this year. Business will multiply or you may start another location. Your plans will get implemented successfully and results will make every body at home happy. A child may leave home and move away for educational purpose in 2012. And of course there is no escape from hard work but it will be rewarding. If you don't waste your time and stay focused, 2012 should turn out to be another turning point in your life as far as career is concerned. Luck is definitely on your side this year. Since Jupiter lord of seventh is in house of gains till may 18th, it can start new association, partnerships and marriage for bachelors is also not out of question. You may find some one who is born outside the country you are living in right now. This person will come from a very good family and will be well educated. A business venture in Partnership with some like minded people also possible in first half of 2012. You will receive help and support from some one much older. Opportunities will come by them selves this year. Money wise you will do a lot better as income will multiply. You will be doing lots of religious and charity work and work towards salvation, thanks to Ketu in twelfth house. You will upgrade your home this summer when Mars transit fourth after June 22nd. Saturn will transit fourth house. Jupiter will stay in tenth till May 18th and move into eleventh there after. Mars will stay strong in second till June 22nd. Saturn will keep half of your attention towards immediate family. You will be busy resolving one issue or another involving family members this year. Some money will need to be spend on getting some work done in and around the home you live in. Jupiter in tenth will definitely cause big changes in career before May 18th and for most it will be a turning point, of course you will go through some learning process. These changes will open new doors and lead you to a totally unexplored territory in career. You will benefit from these changes right after May 18th when Jupiter starts transit in house of gains. Mars in second till June 22nd will keep you on the edge as far as money is concerned but you will meet all financial commitments on time and discharge all liabilities gracefully. Do not buy any old vehicle or too old property as long as Saturn is transiting fourth house and keep your eye on the road when driving any vehicle. Worshipping Lord Shiva, wearing a blue sapphire and donating black color objects will be helpful. You will be traveling to a nice place with family during summer this year. If you keep your emotions aside and stay focused on career, this year will turn out fruitful. Health will improve and you will be able to shed off some weight also with the change of diet only. You will become more social and make new friends in 2012. Jupiter will stay in house of luck till May 18th before moving into house of career. Saturn will stay in third throughout 2012. Mars will stay strong in first till June 22nd especially. Planets are in right order to bring much needed boost in life. Chances are you will get lots of money through legal channels this year. Things stuck in the past will start moving again. You will not feel restricted and will use your talent and expertise to full advantage in 2012. Mars will keep the energy level on peak. You will accomplish a lot this year. Income will multiply as business will grow. People in jobs will be moved to couple of levels up. You will be travelling more during the 2012. Strong Mars will help you accumulate more assets and you may buy some property for yourself or for investment purpose this year. Now Jupiter's transit in tenth after May 18th will cause some fortunate changes in career. A dream job will become reality. Any issues pending with government will also get cleared favorably. Lots of struggle of past will come to an end and projects not doing so well in the past will start making profit this year. Jupiter in ninth improves your chances of having an addition in the family before May 18th. Living , working and financial conditions will improve a lot as you are completely out of Saturn's 7 1/2 year cycle. Expect some positive changes in career between March 29th and August 1st. Some of you will be moving to better place with lots of greenery around. You will go on couple of important trips in 2012. Saturn will be in second or completing last leg of 7 1/2 year cycle. Jupiter will be in eighth till May 18th before moving into ninth there after. Mars will transit twelfth house till June 22nd. Planets will continue to test your patience, self confidence and faith in God. Things stuck in the past will keep rolling from Jan 22nd and onwards. Running around will increase but will pay off. There will be big changes in partnership. You may get rid of old one and start your search for replacement which will become possible right after may 18th, when Jupiter enters your house of luck. Projects started last year will turn profitable in 2012. You may have to travel more frequently for longer stretch of time in this year. You may be able to dispose off some property also at some loss in early months of 2012 but will again end up investing on a nice piece of property after may 18th. You will also replace one of your vehicle in 2012. Bachelors will be successful in finding the right soul mate during Jupiter's transit in ninth right after may 18th. You will become more religious and may start paying visit to a holy place on regular basis. You may have to deal with some health issues during June 22nd and August 16th. Financial pressure will increase in the month of August and September. Try to stay away from involving your self in unnecessary litigation and go for a settlement only. You will be spending more money on a child this year. Faith and self confidence will help you make it a better year. Saturn will transit in first house and Jupiter will stay in seventh house till May before moving into eighth. This Saturn will bring all round prosperity in life. Struggle of past will be over and new opportunities will knock at your door. This year is the perfect time to make your move and take any chance. Saturn will bring lots of stability in life. Some of you may even join a short term program to enhance and update your knowledge. You may also buy a beautiful house and replace one of your vehicle with luxury model this year. Legal matters started last year will come to a favorable end this year and you will be served full justice. You will continue to receive valuable advice and leads from a matured person. Bachelors will ultimately find some one who will be intelligent and a great planner. You may also discard few friends from your list and maintain relations only with humble and nice people. Expect big growth as far as finances are concerned. You will be making more money and business will do better. You may start another big project and manufacture product that can be used by common masses. This will be a very good year for people in gas,oils,minerals and metal industry. You may also purchase a property for investment purpose and this deal will be profitable from day one. Strong Mars in eleventh will keep you financially strong and all loan applications will be accepted in first shot. You will make couple of trips in west direction and those trips will be very lucky. Saturn will transit twelfth house or the house of expenses and losses. Jupiter will stay in sixth till May 18th and will stay in seventh there after. Mars will stay strong in house of career till June 22nd. Rahu will stay in first and Ketu will be in seventh in 2012. Finances will pick up only after May 18th when Jupiter enters seventh house before that you will need to do lots of juggling in order to keep your commitments. Spending too much money on adverting will not be helpful before May 18th. Saturn's transit in twelfth is the beginning of Saturn's 7 1/2 year cycle. You will need to be careful and listen to your instincts rather than believing any outsider too quick. Do not fall for too good to be true schemes. It will be better to compromise and settle rather than getting involved in litigation as the results will not be favorable and you will end up spending a lot on legal fees alone. Your expenses towards vehicles will increase in 2012 in shape of increased insurance or frequent repairs. Professionally you will continue to well. Number of clients will grow but will be hard to save any till May 18th. Projects started in early part will become profitable towards the second half only. It will be better to seek second opinion before you make any big move this year as Saturn will throw bait and you may end up investing heavily in a bad project. Avoid buying any property for investment purpose and especially an old one. People prone to litigations will have to be very careful in 2012. Saturn will transit house of gains and Jupiter will stay in fifth till May 18th before moving into sixth for remainder of year. Mars will stay strong for most of the time in 2012. Rahu will be in twelfth and Ketu will stay in sixth. Planet Saturn will get you large chunk of money through legal procedure. All trips and journeys will be fruitful. You may finally lay your hands on a real nice piece of property. The deal will be good. Chances of a change in career or job are strong in month of June and then again in September. You will travel overseas with family to attend an important event and will take more than one short vacation in year 2012. You will be more confident and successfully launch your project before May 18th. You will get some kind of training or attend a short term program to improve your chances in this challenging world. The knowledge will come really handy when you apply for a better position. New addition in the family this year will bring lots of good luck for you too. All issues involving a child will get settled to every one's satisfaction. Any attempts you make before may 18th should go through in first shot. Some of you may for the first time start a business of your own. Money wise you will make more and spend less and at the end of year you will be happy with the bank balance. Spouse will continue to give good ideas and will encourage you. Some of you may buy a rental property for investment purpose this year. Saturn will transit house of career and Jupiter will transit fourth house, the house of residence till may 18th before moving into fifth. Mars will stay in eighth house till June 22nd. Exalted Saturn will help you make lots of extra money in 2012. There is a strong chance of big chunk of money through legal channels. Your pending appeals will get accepted and you will be off the hook. There will be few positive changes in career and you will be moved at least couple of levels up. Business will be better and new product will be an instant hit in the market. Time from April and onwards is great to make any moves in career. You will be spending some money on your home also. You may renovate or add more space or rooms to it before summer. You may need minor surgery also to cure some health issue that crops up every now and then. Month of September will prove to be a turning point this year. What ever happens in September will not be any less than a jackpot in your life. You will be travelling to west coast and the trip will be very beneficial. Jupiter's transit in fifth after may 18th will bring large gains from distant places and overseas. You will gain knowledge and wisdom. There is a strong chance of addition of a new member in the family towards the end of 2012. You will receive valuable advice and guidance from a matured person who will steer you in the right direction. Stocks purchased in early part of 2012 will turn profitable after August. Strong Saturn will bring confidence back and it will make you more popular in the social circle. Saturn will transit ninth or the house of luck this year. Jupiter will be in third till May 18th and in fourth house for rest of 2012. Mars will continue to occupy seventh house till June 22nd. You will be slightly restless in the beginning of new year but after February you will be completely charged. You will gain from overseas projects and may have to travel frequently to distant places this year. Confidence level will be on the peak and you will make more and will be able to save lot in 2012. It will be a better year for people in sales, marketing and people connected with the communication industry. The chances of moving to better location becomes very strong after may 18th when Jupiter moves into your fourth house. Mars in seventh may create some tension with life or business partner till June 22nd. You will need lots of patience in that area if you wish to maintain things at it is. 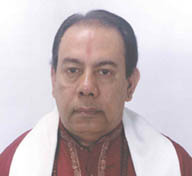 You will become more humble and will help many needy people in 2012 and develop interest in philosophy and spirituality. You may make some generous donations to a worthy cause in 2012. Do not take any impulsive decisions about career and grab second opinion before you make any move, it will help you go for better deal. You will be getting some construction work done in or around your home this summer and may replace one of your vehicle also. Your image in social circle will improve and you may be appointed to some important post in an organization. Just stay calm with partners and you will make it a very fruitful year. Jupiter will transit second house till May 18th before moving into third. Saturn will transit eighth house this year. Mars will stay in sixth house till June 22nd. Money wise the send half of 2012 is better. There will be changes in career this year and you may leave the company you had been working for a long time and join a start up. Some of you may be appearing for some kind of competitive exam to improve your prospects. People in business will continue to face stiff competition but will survive. You may be successful in recovering some money but only a part of the total amount. You may be offered a new partnership or business when Jupiter enters third house. People in sales and marketing will also benefit from this transit. Money will come and disappear fast as usual in first half but you will definitely see your bank balance grow in second half. You may get some money out of an insurance claim in month of August. An old friend will help you a lot with advice and even financial support. Your expenses on children will increase and you may move to a better place or buy your own place for the first time around summer this year. Jupiter's transit in third can hook you up with a nice person and the relationship can turn into permanent before December. You will have visitors at your place in month of July. Financially you will do very well after September and may even make money through stocks or other investments. Spouse will have better health and will make lots of progress in career this year.